Millennials don't seem to mind if content is branded, as long as it's good and resonates with their world view. Check out how these lifestyle brands are creating engaging branded content and connecting with millennials. In addition to branded video, the Onion’s in-house marketing team posts or links to content produced by the brands themselves, like this video for Adobe. Millennials don’t seem to mind if content is branded, as long as it’s good and resonates with their worldview. BuzzFeed, College Humor, Flavorpill Media and The Onion use humor, nostalgia and uplifting content to create branded messages in line with their own editorial guidelines. Lifestyle brands, however, can often get away with blurring the lines between editorial and branded content. 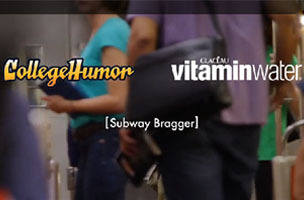 College Humor’s Susanna Wolff said at an AdWeek panel that Vitaminwater approached them and asked if they could work with the brand’s “Make Boring Brilliant” slogan. The subway prank video is one of four “stunt-y, relatable videos” that put a spin on familiar situations. “It’s a happy, uplifting video, and people are very into that right now,” she said. “Our audience has a lot of nostalgia for certain time periods — primarily, for when they were between the ages of 12 and 18, which is when I think is when a lot of your big cultural milestones happen,” Spiers said. BuzzFeed has its own nostalgia vertical called Rewind.